A couple days ago, I was reading about the plans to completely rebuild the Stanley A. Milner Library downtown Edmonton, and came across a few comments asking what the point is. Libraries will disappear soon. Why would libraries disappear? Well, he says that since everyone’s going to be reading eBooks in the future, we no longer need paper copies. Therefore, libraries will be useless. I disagree. First, libraries hold a lot of rare and old books. These are not going to be digitised. They’re actually quite valuable, and if people want to see them, they have to go to a library. Second, not all books can legally be downloaded as an eBook. It depends on the publisher and the author. If they don’t want it available as an eBook, it can only be available in print. Don’t want to buy it? Go to a library. Libraries aren’t just places to find books. They’re also places to study. Many students go there to study. When I was in university, we had to use the library for research. Online research was not allowed. It could not be cited in an official research paper. We had to use hard copies for our research, and the only place to find them was in the library. This included research journals, books that would cost hundreds of dollars to buy, and microfiche. Good luck getting those online. Libraries are social institutes. People gather there for many purposes. Children gather there for social events, reading, and learning to discover the joys of reading. I can’t see kids pulling out iPads in a classroom to search for books online, go through Amazon and purchase them. They go to the library, which, in my opinion, is a lot more fun, and the kids will interact with each other. Libraries offer books to read for free for a limited time. Putting them all online and available for free would mean that authors make nothing. As a result, there’d be very little new fiction. The entire publishing industry (including indie publishing) would collapse. Sorry, no new books. What’s the point in writing them if they can’t sell books, since they’d be available for free online? Finally, I like libraries and books. No, I love libraries and books. I love being in libraries, and I love holding books in my hand. Nothing beats that. And besides, real books don’t need batteries. 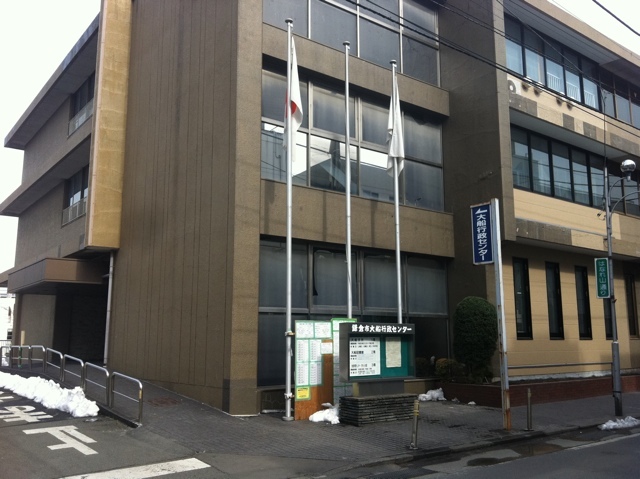 The Tsujido City Library is the Tsujido branch of the Fujisawa City Library, and is located near Tsujido Station, about 5 minutes south. 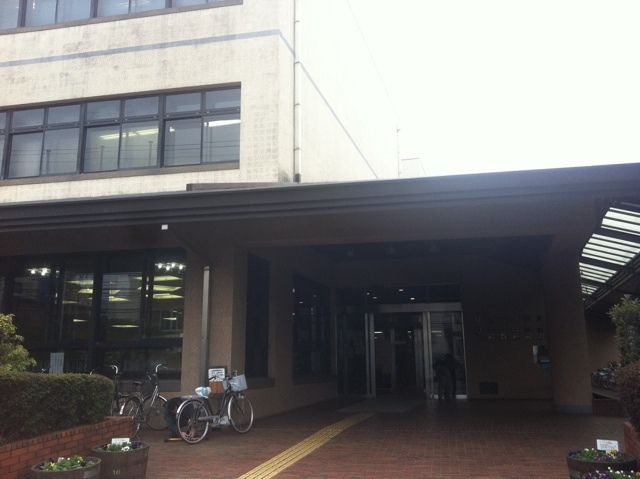 The main entrance of Tsujido Library. It’s a modern two storey building. The library is 2 storeys tall, and has a fairly modern design. It features several rooms, including a meeting room, multi-purpose room, one additional room, and an 80 seat hall. The library has 190,000 volumes, according to its website. The website is in Japanese only. The bicycle entrance of the library. The sharp corner has a sign. The library is surrounded by a lot of trees, so it’s quite attractive. Around the library, the grounds are quite nice. Although it’s not a park, there are many trees and plants, making it a very pleasant place. I was unable to go inside, but if I have a chance, I will check it out. For more library photos, check out the Library Photo Project. 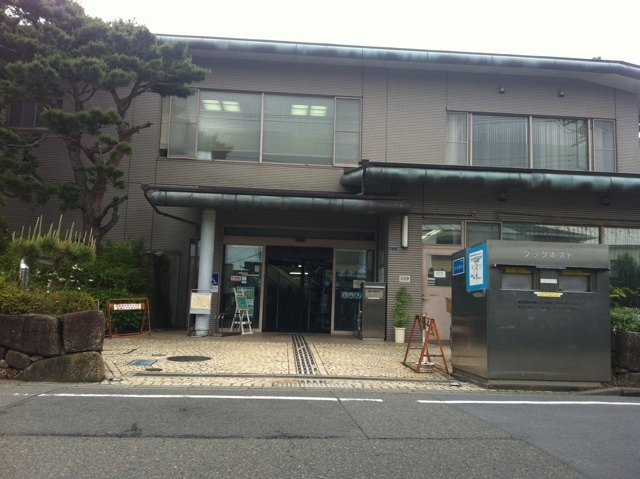 The Ofuna Library is a local branch library for the Ofuna area in the city of Kamakura in Kanagawa Prefecture, Japan. It’s a short distance from Ofuna Station. The three storey building is actually a local city office, but the library is inside. The building has a conservative design, but looks pretty solid. 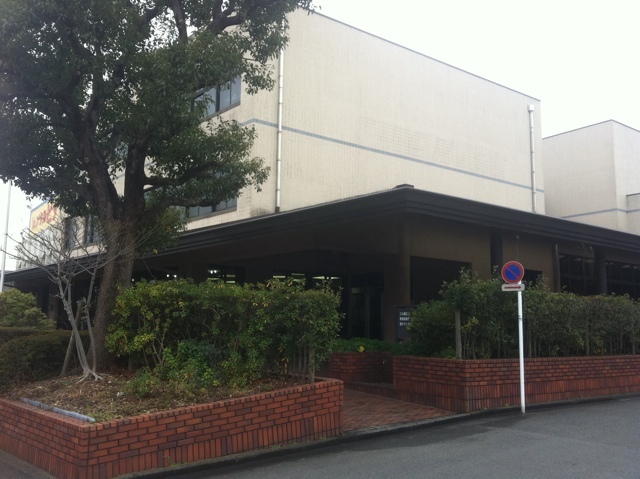 The main floor is the local branch office for Kamakura City Office, while the library is on the second floor. 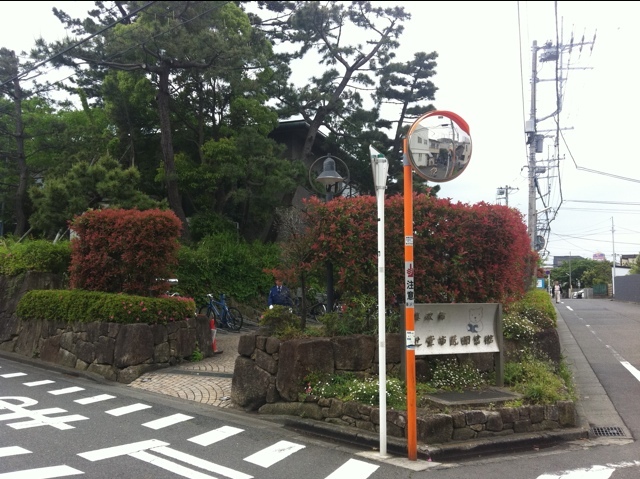 The official page for Kamakura City Library is here. It’s in Japanese only. To see more libraries, check out the Library Photo Project. Yamato City Library is the main branch for the library in Yamato, Kanagawa, Japan. It’s about a 5 minute walk north of Yamato Station. The building is very nondescript and conservative. The library is 3 stories and has a very conservative design. It doesn’t appear distinct at all, so doesn’t stand out. The library has approximately 470,000 books, according to the official website. There are various facilities available, including audio-visual rooms, conference rooms, a room to make videos, edit videos, a darkroom for photography, internet, children’s area, and even a couple of art galleries. I was unable to enter the library due to a lack of time, but I doubt there’s not much of interest architecturally inside. I will check it out if I have the chance. I had an idea today. I’m not sure if it’s been done before, but that doesn’t matter. I really like libraries. But I also love architecture. Many libraries in the world are quite beautiful. Many are classically designed, while many are very modern. So I had an idea that will probably get myself into a lot of trouble with time management. Actually, I don’t think this will take up a lot of my time, as I’ll mainly be gathering photos (public domain, those available for sharing via Creative Commons, and those that I take myself) and posting them in a blog. Yes, this blog. No, I won’t start a new blog for this, I already have enough. Oh, I didn’t tell you my idea? 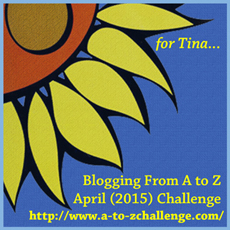 Well, I thought I’d start something called The Library Photo Project on this blog. It’ll have it’s own little tab up on the menu at the top of the page. 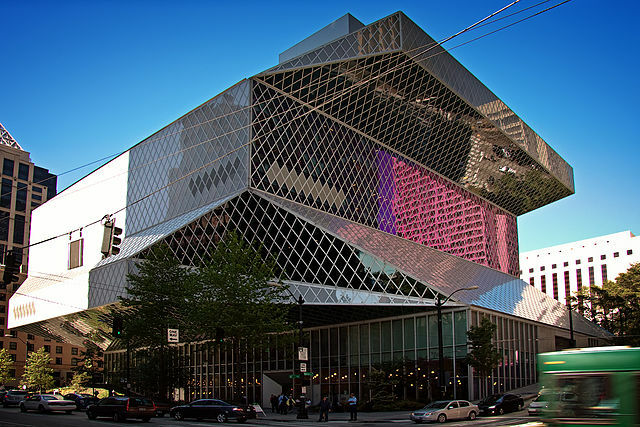 I want to showcase the best, and sometimes the worst, architecture that libraries can show us. What do you think? Here, I’ll get it started, though not officially. Some of these are truly amazing, and would love to see them in person. Really, you need to check those links out! So, what do you think about this idea? Leave a comment!